Xiaomi Mi Mix 2 Specification & Price: Everything you need to know! With Xiaomi Mi Mix 2 in the picture, Samsung Galaxy Note 8 would be bygone! Xiaomi Mi Mix 2 might introduce an unbelievable design! Revealed as world’s first Bezel-free phone, Xiaomi Mi Mix has the world go “wow” over its ground-breaking design last year in October when it was announced. Up until now so much has happened in the industry in terms of bezel-free design. 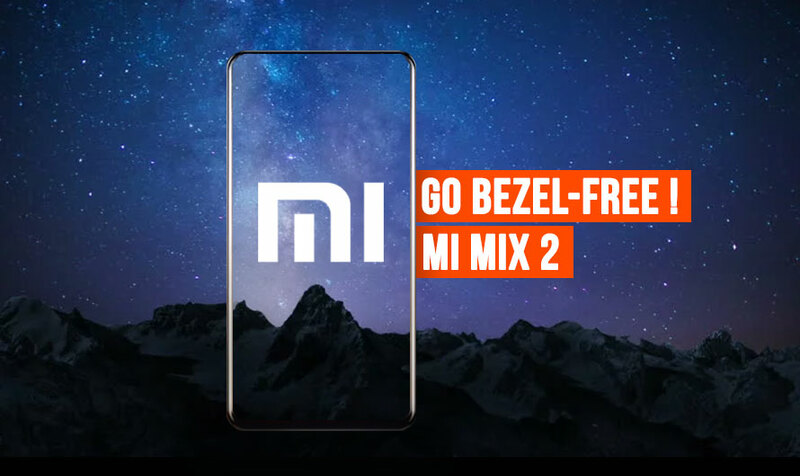 Xiaomi has inspired a lot of incumbent players in the industry to work on a bezel-free phone. The result so far is fantastic in the form of Samsung Galaxy S8, LG Q6, Micromax Canvas Infinity and the most recent Galaxy Note 8. The trend has caught up, and the brand who started this is all set to release the successor, the Mi Mix 2 soon. What’s different about the Xiaomi Mi Mix 2? Find out below. >Design – Where are the Bezels? Just like when Stu shouts where are his teeth once he sees his face in the mirror. You will ask where are the bezels on the new Xiaomi Mi Mix 2. The Chinese smartphone maker is all set to make other Bezel-less phones obsolete with its Mi Mix 2. 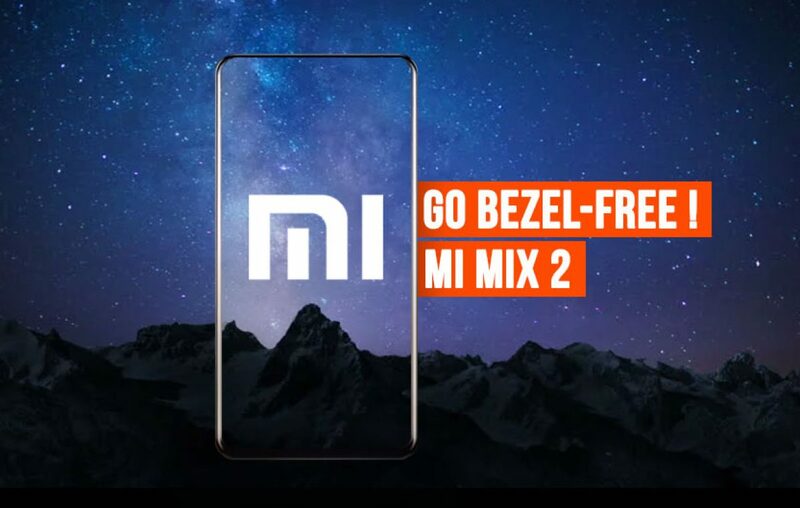 From the renders leaked online, it’s clear that Xiaomi is taking their game to the next level to stay ahead in the space essentially created by them. That’s why the new Mi Mix 2 would be sporting advanced Bezel-free look. >Display – HDR in your hands! While the Mi Mix came with a 1080p display, the Mi Mix 2 is purported to come with a 1440p resolution display. That is a big improvement in terms of the resolution, which in turn increases the pixel density. When you are releasing a Bezel-free phone that is of the significance, no one wants a premium design handset with average pixel density. Furthermore, it’s reported that the display on new Mi Mix 2 will come with an HDR feature that was seen on the Galaxy S8. >Performance – High Octane Horsepower! You can talk about innovative design, high resolution or even cameras, but a premium device without a high-end processor is nothing. And that’s why to keep up with the competition, Xiaomi would need to upgrade the chipset with something latest, something high octane. Qualcomm Snapdragon 835 is the best bet for such high power. It would mean an upgrade from 821 to 835, which is a jump in a generation. >Camera – Optics to impress the world! Every other smartphone company is jumping on the dual camera bandwagon. And consumers seem to love it. What would more any brand want? This is an experiment that has become quite successful. The dual camera optics is expected on the new Mi Mix 2, which will allow the device to impress the world with its optics. Probably sporting one RBG and one monochrome sensor. Expect a dual 12MP rear camera setup, which could wow you with its output. Last year Xiaomi wasn’t ready to ship its Mi Mix to other countries as it was called as a concept phone. But the concept has already been picked up as a mainstream design by many brands. And we think it’s about time that Xiaomi learns that and implement. This will open the door of their next generation Mi Mix 2 to arrive in other than home country. Looking at the Xiaomi Mi Mix 2 specification, it is believed that Mi Mix 2 price in India would be around Rs 34,999. Which will directly target against the OnePlus 5 in India. Do you like these Mi Mix 2 features that Xiaomi is rumored to implement on its next premium product? Do you feel Samsung Galaxy S8 would be a bygone or not? Let us know in the comments section below. Previous article Coolpad Cool Play 6 - How cool can it get at Rs 15,000? Next article Why is Xiaomi Mi A1 the next Xiaomi Redmi Note 4 in India?